Nollywood actress, Nkechi Sunday, has joined the league of some of her colleagues that have signed endorsement deals this year. This year might have started kind of dull for many but some people later picked up and the actress is one who will be ending the year filled with smiles. 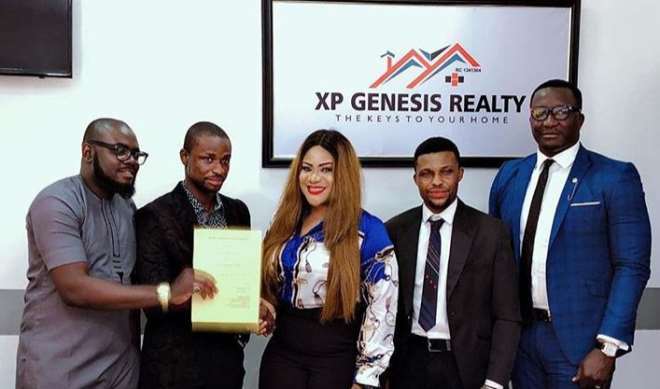 Nkechi has just signed a new deal with a property company who not just pay her but also gave her a plot of land.